It is easy to be intrigued by Morocco. Just hearing the name alone invokes daydreams of blowing desert winds whipping over sand dunes, cities painted blue, and alleyways so dramatic, you feel like you took a step back in time. Before I visited, I wasn’t sure if this was what I would actually experience in this North African country of 34 million people. Morocco is unique in almost every way possible, even being only one of three countries in the world that border both the Atlantic Ocean and the Mediterranean Sea. When I first arrived to lead a workshop for The Giving Lens, I immediately fell into the fable that Morocco weaves as I walked through the gritty mazes of Marrakesh. For the next ten days, I would be overwhelmed by the sites, sounds, scents, and tastes that Morocco provided. I have always felt at home in desert environments, but even I was unprepared for the surreal experience of being part of a camel caravan as we trodded over golden sand dunes as the low sun began to disappear behind the never-ending desert dunes. We even got caught in one of those famed Sahara sandstorms. 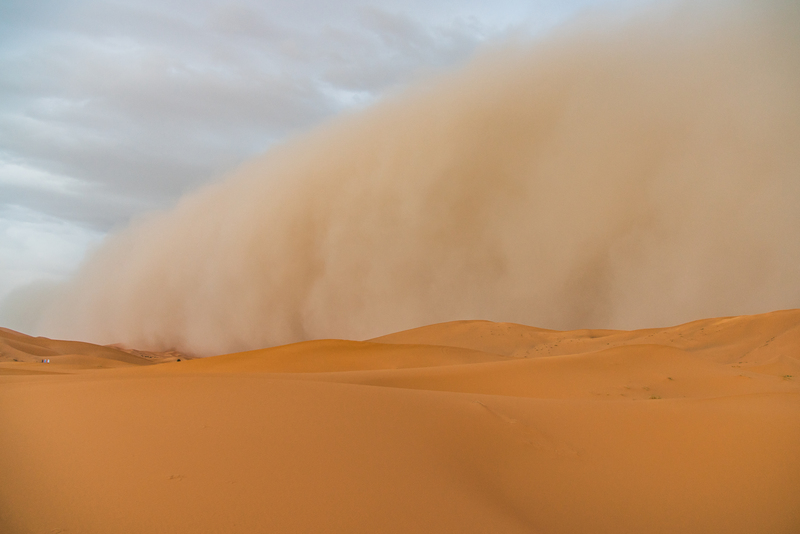 As the massive sandstorm quickly crept over the pristine sand dunes of the Sahara desert, I asked Beehee, our camel guide, how long it would be until the imposing storm hit us. “5 minutes” he answered. Seeing Said, , Nancy and Tony as specks in the distance (zoom in to see how small they are on the left side of the photo), I asked the logical follow up question. 25 minutes he calmly answered. He was right. And riding though a chaotic and painful sandstorm was maybe the most incredible 20 minutes of my life. I will be co-leading a return trip to Morocco this October with The Giving Lens. Find more information and apply on The Giving Lens website. Follow my Instagram and Facebook for more of my travel adventure photographs. When nightfall began to descend, our team settled into the sand as our guides from Open Doors Morocco started a campfire. 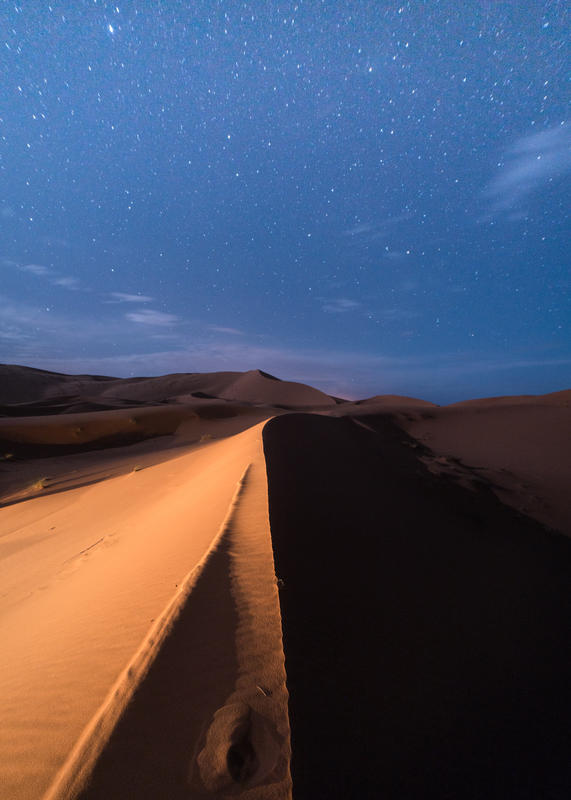 As I looked up to the sky, I was greeted by a crystal clear Milky Way rising over the moonlit dunes. At that moment, I knew I had found my perfect slice of paradise. A paradise filled with friendly people, incredible history, and endless adventure. And I cannot wait until I return to my desert paradise. understands what they are discussing on the web. You definitely understand how to bring an issue to light and make it important. Hydrographic Center, researchers have developed modern ocean mapping applied sciences. continue to care for to stay it wise. I can’t wait to read far more from you.